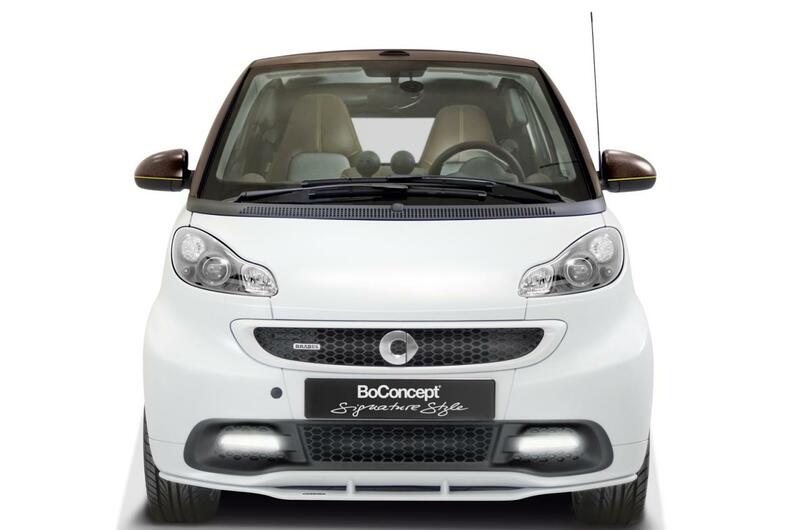 The British folks at Smart unveiled a concept model based on the ForTwo, a prototype built in partnership with BoDesign. 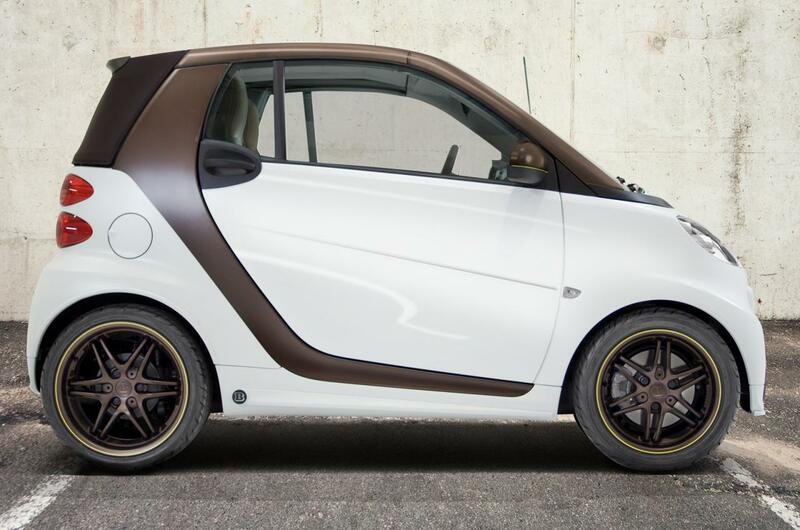 The new ForTwo BoConcept receives a special two-color exterior finish with a base white color and brown metallic accents. A new set of Brabus Monoblock VII alloy wheels in the same finish is available as well as revised door mirrors. Entering the cabin you will find new leather upholstery, revised steering wheel, dashboard and door panels in the same brown finish. 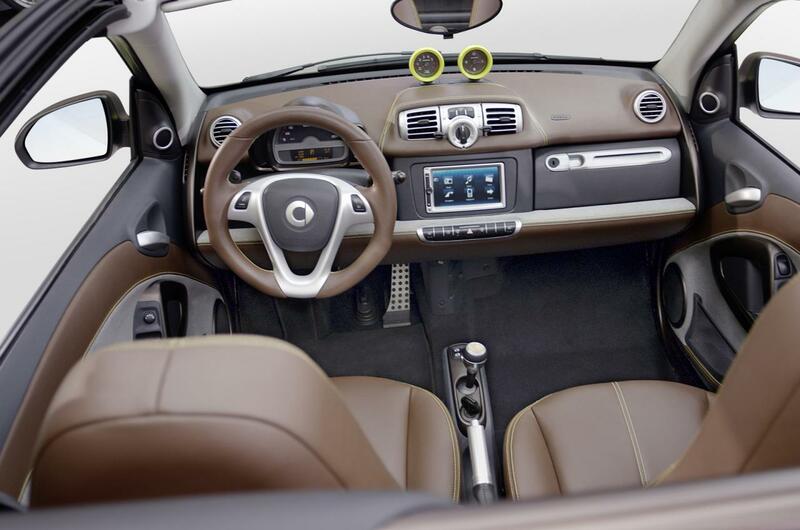 Contrasting silver accents can be found on the door handles, steering wheel, lower door panels and handbrake lever. Lastly, Smart offers special yellow stitching for the seats. 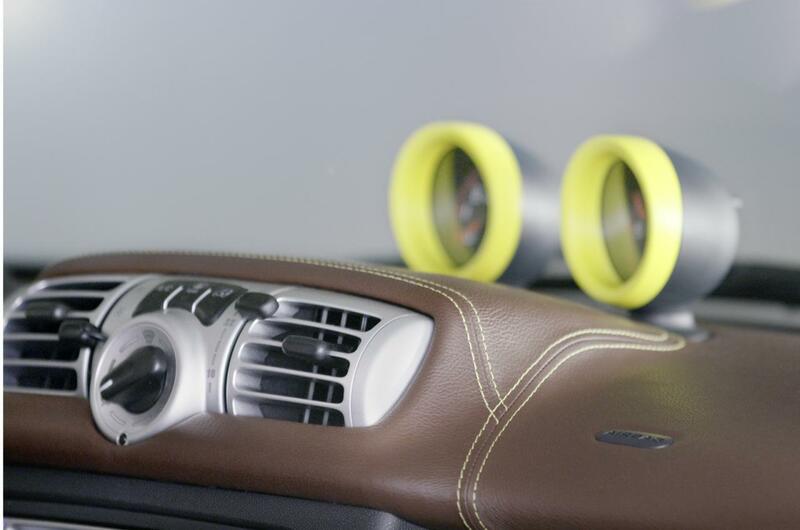 More information and photos on the Smart ForTwo BoConcept will be released next week at the Geneva Motor Show.